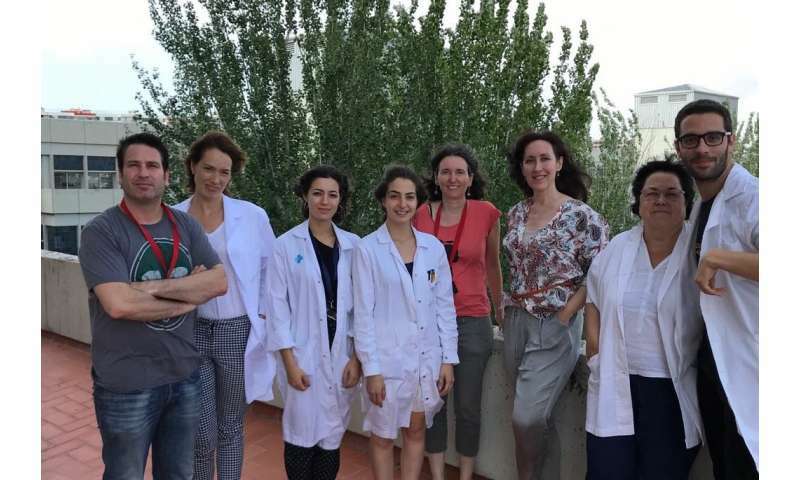 The Neurometabolic Diseases research team at IDIBELL and CIBER of Rare Diseases (CIBERER), led by ICREA Professor Aurora Pujol, has reported a novel disease affecting myelin in children, leading to severe incapacity and death in some cases. The gene causing the disorder is called DEGS1 and was identified using whole exome sequencing (WES) of 19 patients from around the globe (China, Iran, Morocco, the U.S., and France). "Sample collection for such a rare disease was extremely fast thanks to our collaboration with reference centers for leukodystrophies in France (Dr. Odile Boespflug-Tanguy) and in Baltimore (Dr. Ali Fatemi), and to the freely accessible genomic information exchange platform GeneMatcher," Dr. Pujol explains. DEGS1 is an enzyme of lipid metabolism that converts dihydroceramides to ceramides, at a hub essential for brain function. Indeed, defects in other enzymes along this pathway cause similar rare diseases like Krabbe disease or metachromatic leukodystrophy, which also affect the myelin..
A zebrafish model with deficient DEGS1 function was generated in the laboratory of Dr Cristina Pujades, UPF Barcelona, and exhibited swimming difficulties, loss of myelin-forming cells (oligodendrocytes) and ceramide imbalances. These defects were corrected by a treatment with fingolimod, a drug in use for multiple sclerosis that interferes with this pathway. "These results pave the way to clinical trials, illustrating the transformative impact of clinical and functional genomics in the continuum from diagnostics to treatment," adds Dr Pujol. "In other words, they show the importance of integrating the clinical and functional genetics laboratory in order to reach potential therapeutic solutions as soon as possible. In progressive neurological diseases time is key, and genomics is a powerful and cost-effective tool which is improving scientific knowledge and clinical practice."